Americans who are saving for retirement in company-sponsored 401(k) plans have paid billions of dollars of excess expenses to Wall Street investment firms. There are layers and layers of fees for consulting, money management, transactions, marketing (12b-1), education and administration. Most of the fees are associated with investing plan assets and the administration of the plans by Third Party Administrators (TPAs). A recent Supreme Court ruling makes companies and plan trustees responsible for monitoring the amount of expenses that are being extracted from employee accounts each month. (See Employers must monitor 401(k) fees, Supreme Court rules.) 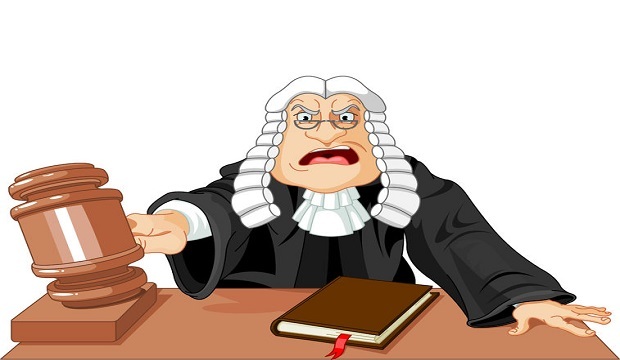 The Court said employers can be sued if they do not monitor expenses. The words "can be sued" are not as strong as "will be sued", but they are a good start. Perhaps the trustees of these plans will start taking their responsibilities seriously. The ruling transfers the obligation of monitoring from plan participants to companies and their designated trustees. This corrects a massive injustice because companies and their trustees control plan investment options. Participants have no control so making them responsible for monitoring expenses was always a travesty. You might be wondering how Wall Street got away with excessive fees since the advent of 401k plans? A big part of the answer is apathetic trustees who did not take their responsibilities seriously. They relied on consultants and advisors to help them make the right decisions. This created a co-fiduciary relationship that was supposed to insulate the trustees from personal liability for making bad decisions. There is a second answer. You have read about the greed and corruption that runs rampant on Wall Street. The biggest companies in the industry have paid billions of dollars in fines for ripping off investors. It should not be a big surprise that Wall Street has been ripping off plan participants. 401(k) assets are one of the biggest pools of capital in the world. How did Wall Street get away with it for so long? Let's say the $300 million it sends to Washington each year bought protection from equally corrupt politicians. Washington protects the barons of Wall Street. The barons send money to politicians that they use to stay in power. It if sounds a little medieval that's because it is. This is why any material changes, that benefit investors, had to come from the Supreme Court. Its rulings show Wall Street executives do not control the Supreme Court. Use this four-step process to get the information you need to protect your retirement assets. Require full written disclosure from the trustees for every penny of expense that is deducted from your retirement account. Ask the trustees to document the services you receive for the money. Ask the trustees to compare the performance of your plan to the performance of generally accepted benchmarks. Ask the trustees to document in writing that there are no lower cost alternatives that produce superior results. Report the trustees to the Department of Labor if they refuse to provide this information in a timely manner. About the Author: Jack Waymire worked in the financial services industry for 28 years. For 21 years he was the president and chief investment officer of a registered investment advisory firm with more than 50,000 clients. He left the industry in 2003 when his book (Who's Watching Your Money?) was published by John Wiley. That same year he launched an investor information website (www.PaladinRegistry.com) that was based on the principles in his book. Jack is a columnist for Worth magazine, a frequent blogger on major financial sites, and widely quoted in the media including the Wall Street Journal, Forbes, BusinessWeek, Bloomberg, and Kiplinger. Follow Jack on Twitter @PaladinRegistry.